The project involved the construction of a 1.5 storey private dwelling along with a detached double garage, garden store and associated landscaping. The project involved the construction of a 1.5 storey private dwelling along with a detached double garage, garden store and associated landscaping. The dwelling includes four bedrooms and three reception rooms. 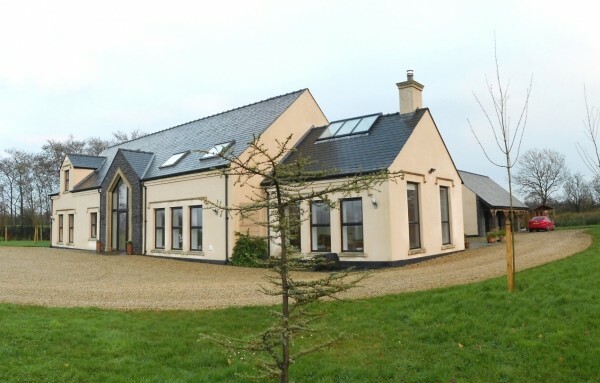 It was built using a traditional construction method and includes an external lime render, a natural slate roof, Velux windows, feature dormer windows and solar technology to minimise energy usage. A bit more information about the the Private dwelling, Ballymena project.